Men out there, what comes to your mind when you think about your shaving problem? Isn't it the word Philips? I even remember my Dad using the same brand too. Meaning, I grew up knowing Philips as man's best friend. Here's a good news! Philips, as a global leader for male electric shaving, has made it even easier for Filipino men to look their best by introducing its cutting-edge shavers that delivers the closest shave yet, without compromising on comfort, control or choice. This groundbreaking product is packed with intuitive innovation and designed to empower men to explore different grooming styles and give them the confidence of a close, comfortable shave every day. 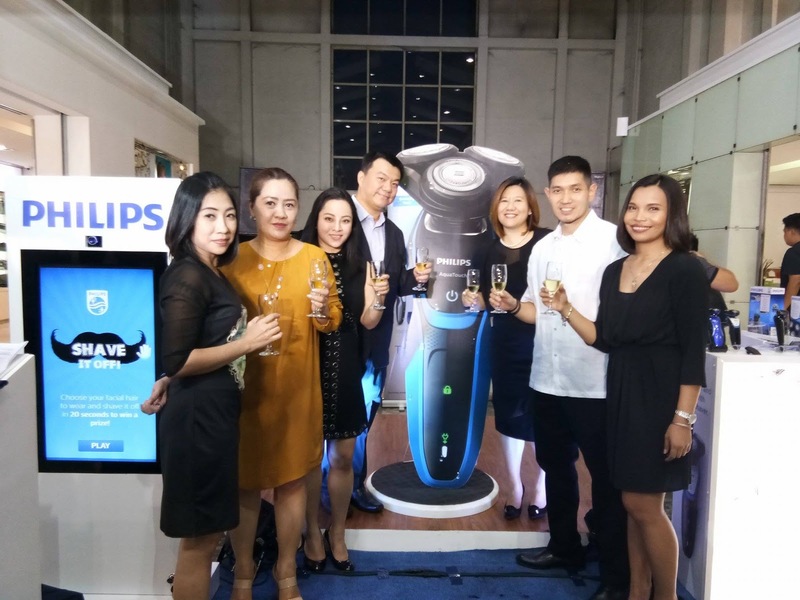 Tonight, the brand held an interactive shaving event with its partners in empowering men – Philippe Gadgets & Accessories, Philips official distributor for Personal Care products together with its retail partner Rustan’s, to encouraged consumers to be in best look by trade-in their old traditional and electric shavers. It was an evening of fun to those who tried the Shave Off game, where some prices were given for finishing the shaving challenge for a very short period of time. To my surprise, this handsome model tried using the shaver to a super sensitive balloon. And guess what, it did not pop. That is how gentle Philips shavers are. “As an industry leader in male grooming, delivering smart solutions to today’s modern man that offers a close comfortable shaving experience every day without compromising the skin is our forte,” she added. We thought only women worry a lot about our looks from the moment we wake up. Guess what, many men are worried too. That shaving every day may cause skin damage. To combat this, Philips offers wide range of shavers to address the root cause of irritation – friction between shavers and the skin. All shavers designed to relieve discomfort and allow men to shave with maximum comfort, every single day. 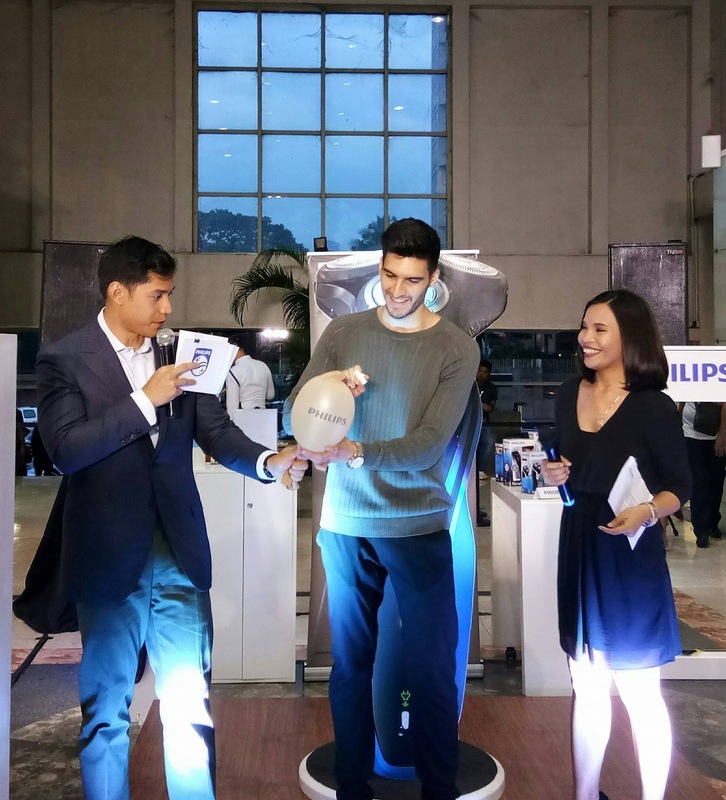 This is amazing, with the Philips AquaTouch Wet & Dry Electric shaver protects your skin while you enjoy a refreshing shave. The MultiPrecision Blade System with rounded profile heads glides smoothly across and its designed to protect your skin. 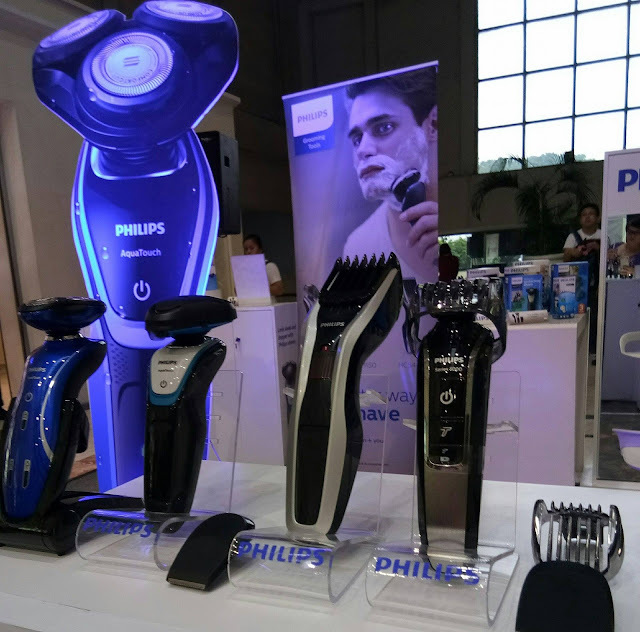 While Philips Multigroom series 3000 3-in-1 Beard & Detail trimmer, allows you to try different beard, mustache and sideburn styles. With three (3) attachments, it gives you the possibility to easily try many different looks.